A couple of months ago the folk at Mitchell Cycles in Swindon formulated a little plan to put on a cycling event this summer. The event was to be held behind the shop at Swindon County Ground and be a little celebration of bikes and 175 years of GWR. A few of us ladies in Swindon’s Bicycle Users Group thought that this was a fantastic idea and got together to help make it happen! 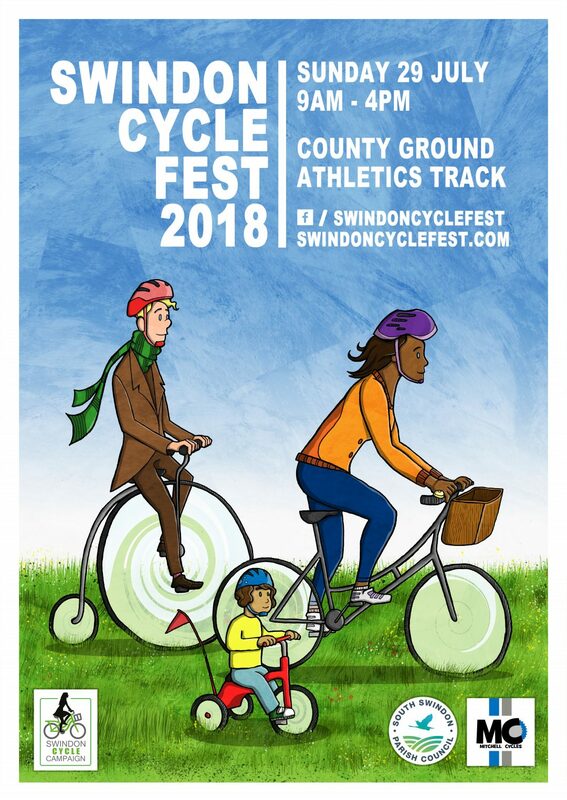 So with the support of British Cycling and Swindon Borough Council we are organising a fun, free event for all the family to celebrate cycling in Swindon. We’d love the event to be as locally-based as possible. If you are a local club, business or organisation who’d like to get involved please get in touch!